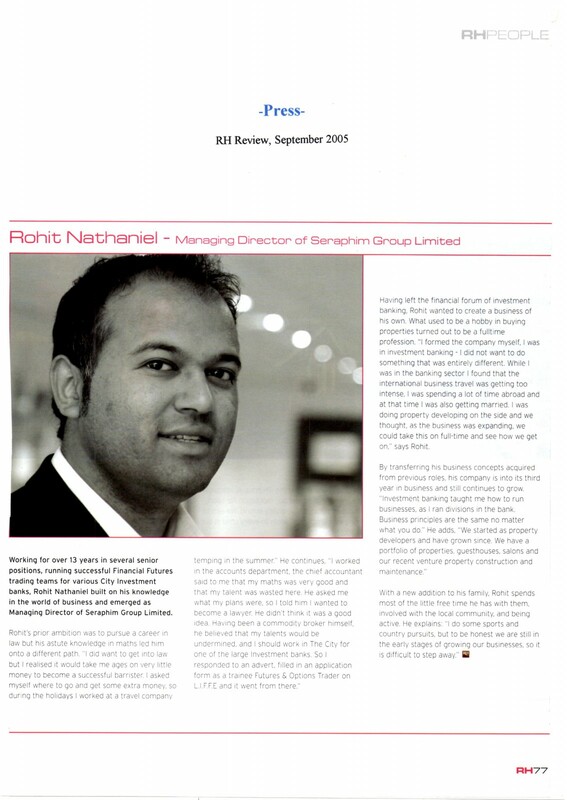 Rohit Nathaniel, Managing Director of Seraphim Housing & Building Services Group has worked with the Police Force for a couple of years as a Police Senior Leadership Adviser. 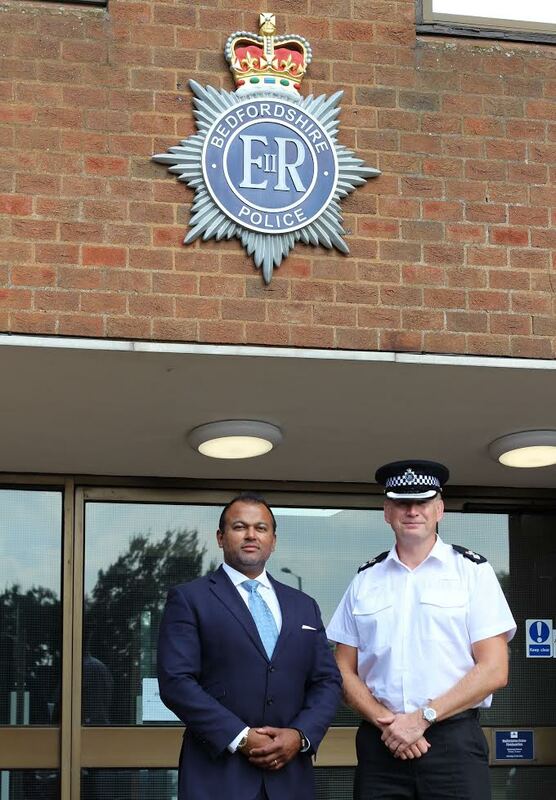 In August 2016 he was invited onto The Interview panel for two days in the recruitment for new Police officers. 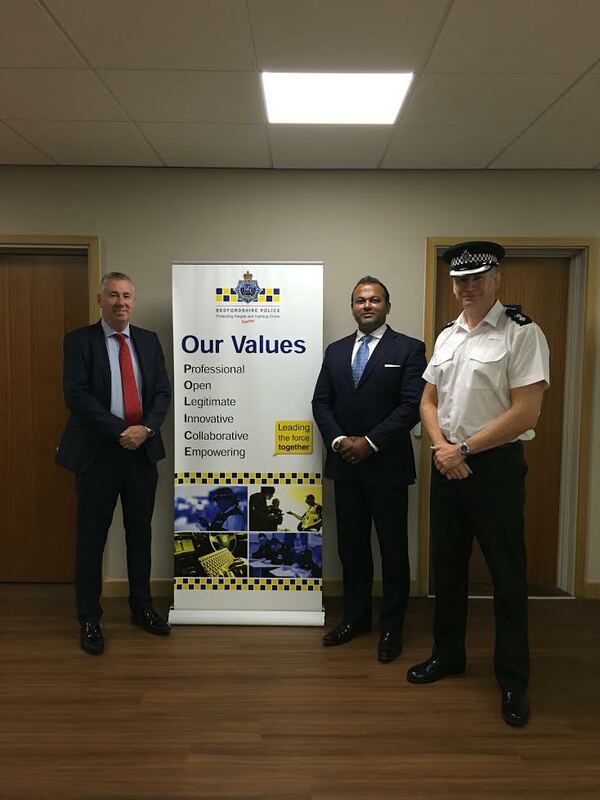 He also met with Bedfordshire Police Command and Executive Team discussing The Force tactical strategy and vision. 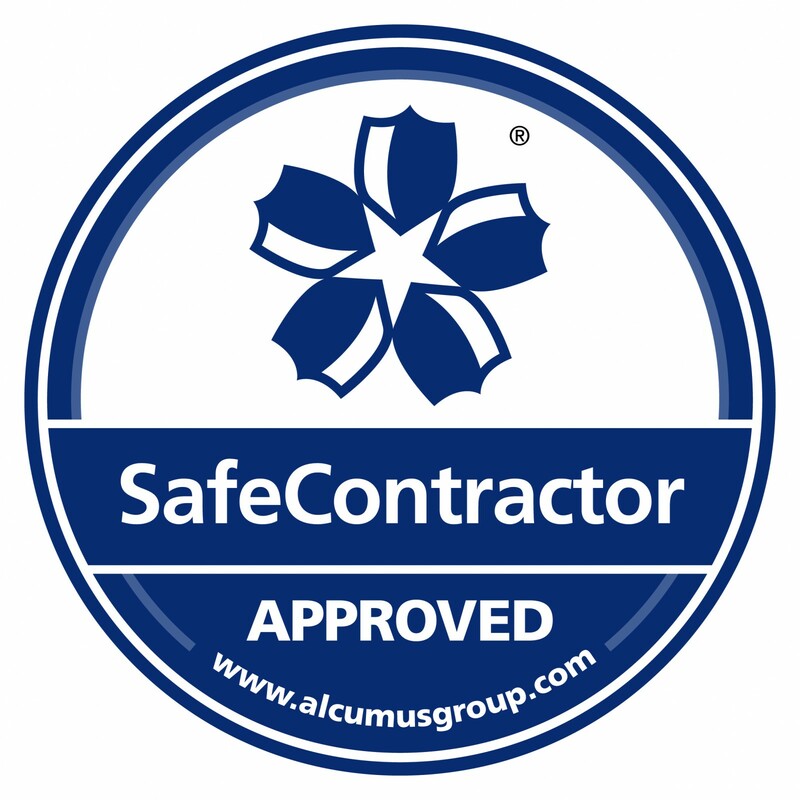 Safecontractor is a leading third party accreditation scheme which recognises very high standards in Health and Safety management amongst UK contractors. 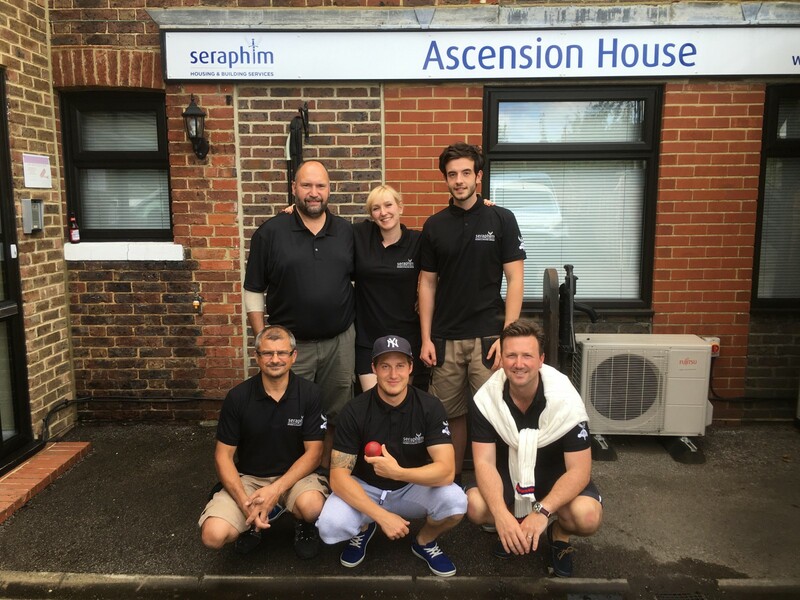 Seraphim’s application for Safecontractor Accreditation was driven by the need for a uniform standard across the business. 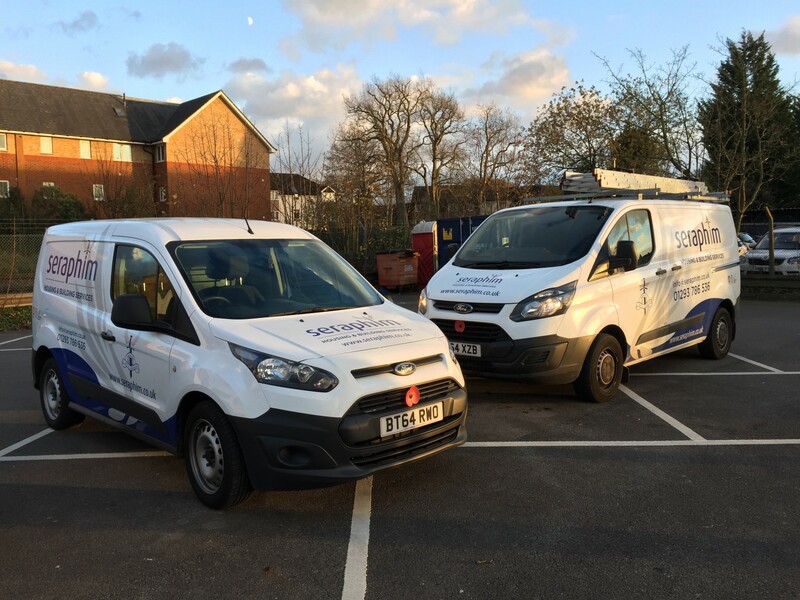 Seraphim Building Services’ clients range from local Schools and Businesses to International Real Estate Agencies, ‘Blue Chip’ Organisations and Housing Associations, all of whom will benefit from the very highest standards across Health and Safety Management. Over 210 major, nationwide businesses, from several key sectors, have signed up to use the scheme when selecting contractors for services such as building ,cleaning, maintenance, refurbishment or electrical and mechanical work. Paulo De Silva wins yet another World Title, taking International glory for the fourth time. 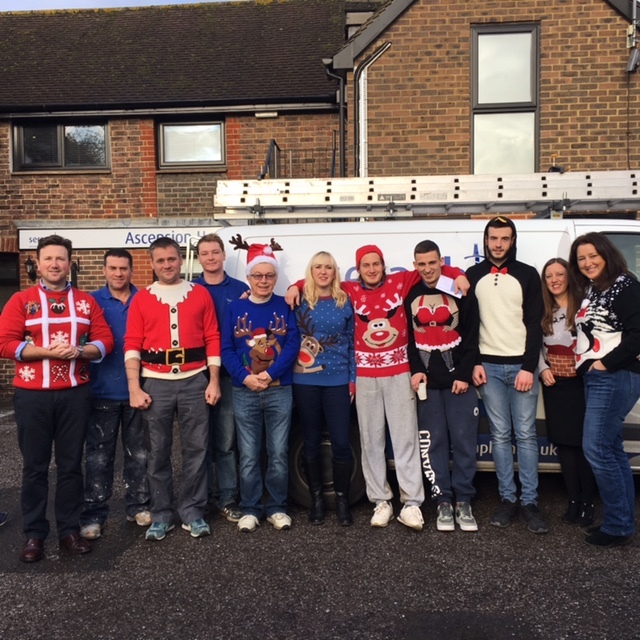 Seraphim Housing & Building Services were extremely proud to serve as the headline sponsor for this fantastic and very high profile event held at the Effingham Park Hotel on 21st November 2015. 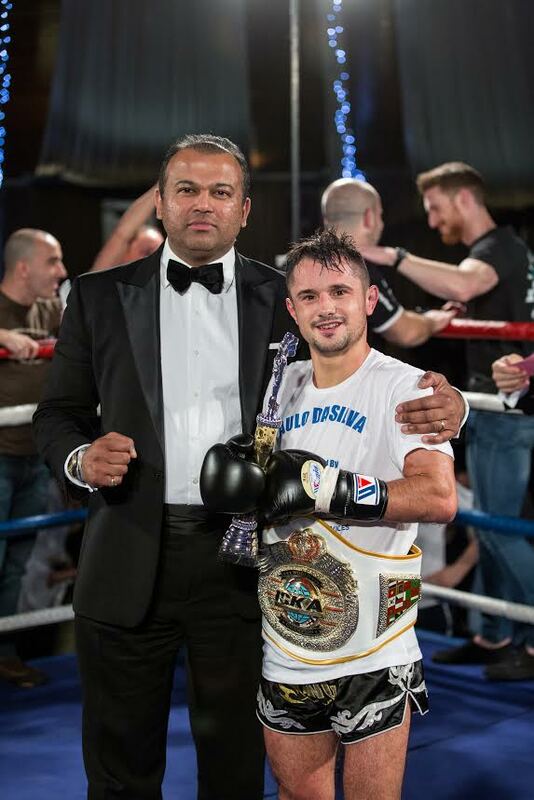 Mr Rohit Nathaniel (Managing Director of Seraphim) was honoured and privileged to crown Paulo with the World Title Belt in what was a thrilling contest and impressive victory. 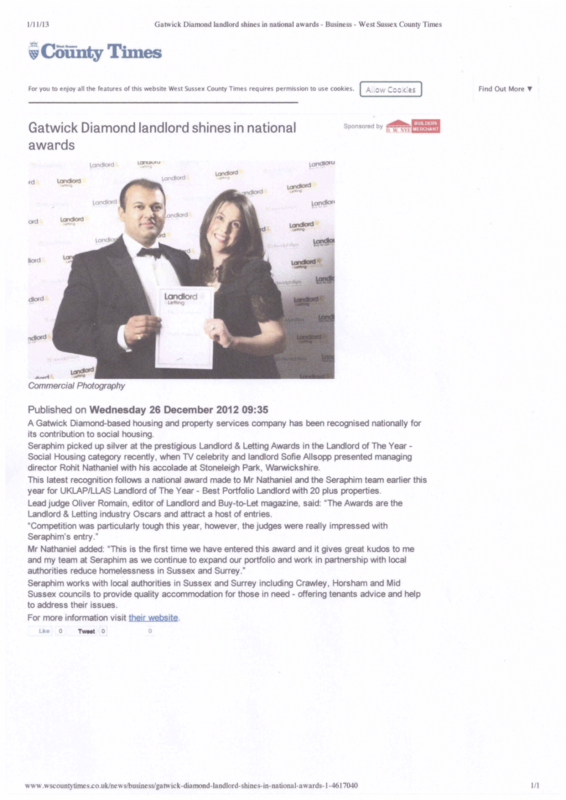 On 28th March 2014 Rohit and Sandra Nathaniel (Seraphim Directors), along with a few staff attended the UKLAP (United Kingdom Landlord Accreditation Partnership) and LLAS (London Landlord Accreditation Scheme) Conference and Award Ceremony in Marble Arch. 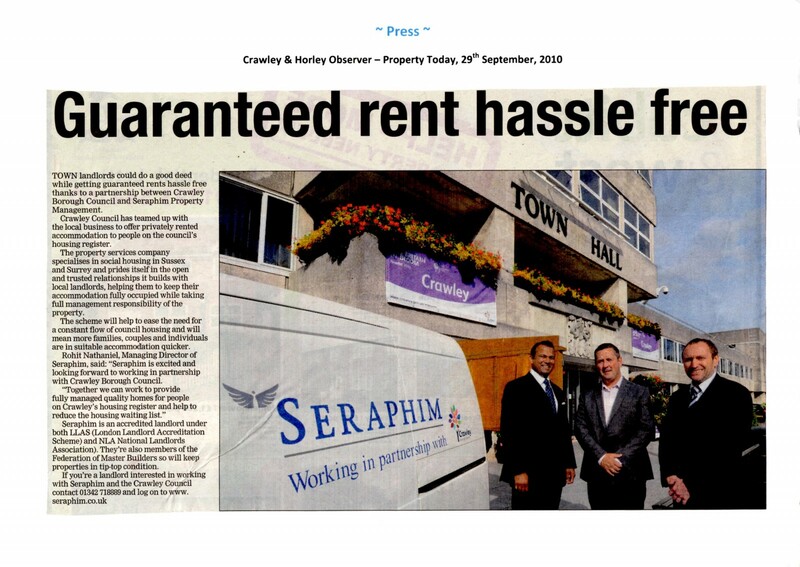 Seraphim Housing Group lifted the Empowering Tenants Category, a coveted national award for support for their tenants. 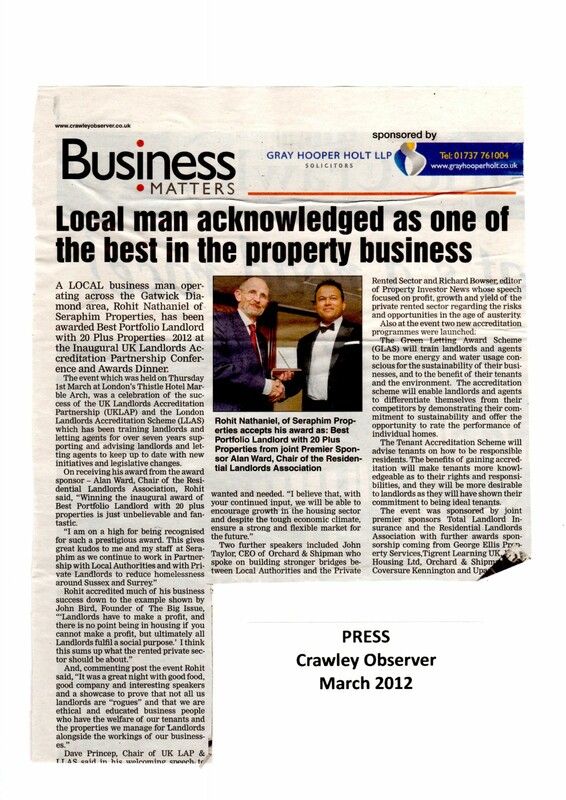 This is another prestigious award for Seraphim and we feel humbled that Seraphim have been recognised nationally in this very important area in housing. We look forward to the bi-annual event which will be next held in March 2016. 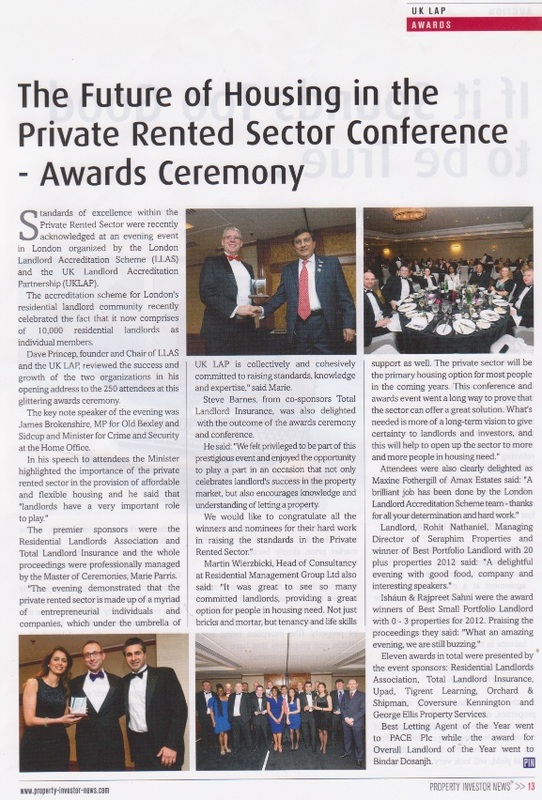 On 1st March both Rohit and Sandra Nathaniel (Directors of Seraphim) attended a UKLAP (United Kingdom Landlord Accreditation Partnership) and LLAS (London Landlord Accreditation Scheme) inaugural Conference and Award Ceremony in Marble Arch, London. It was a very big and high profile Black Tie event with Cabinet Ministers, MP’s, Council Leaders and CEO’s all in attendance. UKLAP comprises Local Authorities, Landlord Organisations, Tenant Groups, consumer group and others with an interest in the private rented sector. 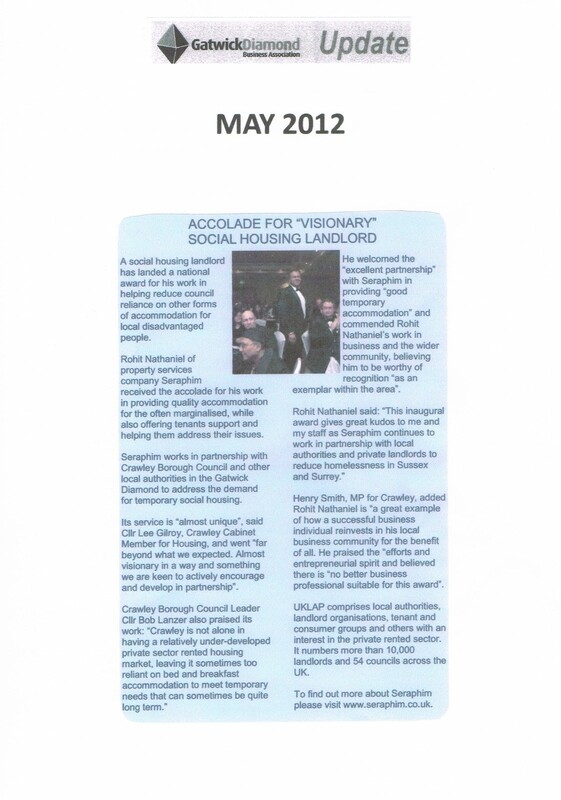 Along with that there are in excess of 25,000 accredited Landlords and now a total of 54 Councils. 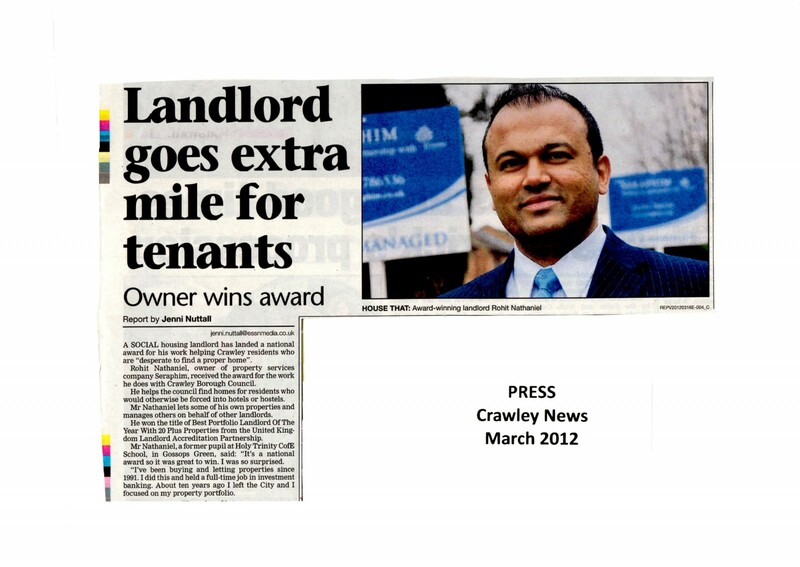 Rohit was short listed as a Finalist for the category of : “Best Portfolio Landlord of the Year with 20 Plus Properties”. This was in itself very good for Seraphim. The other nominees who were finalists were some very big organisations. 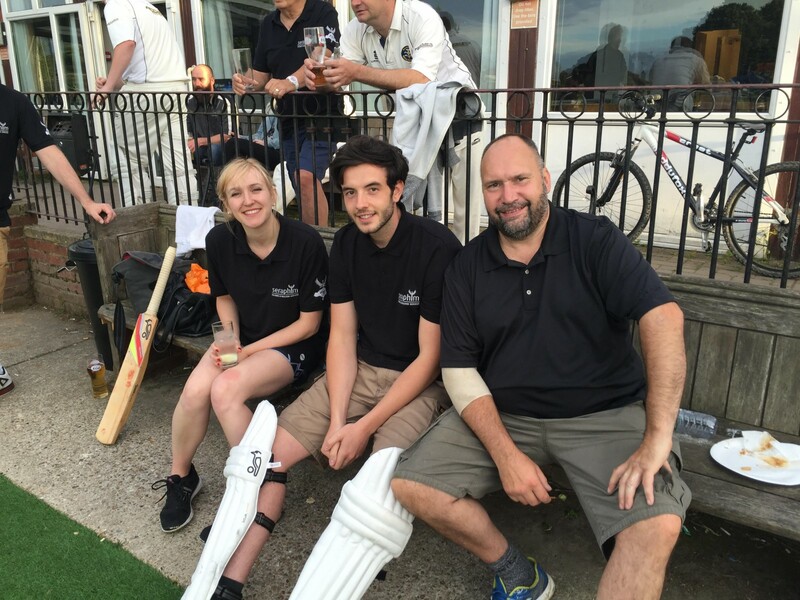 As you can imagine it is a National Award comprising the whole of the UK so, there was fierce competition anyway….. 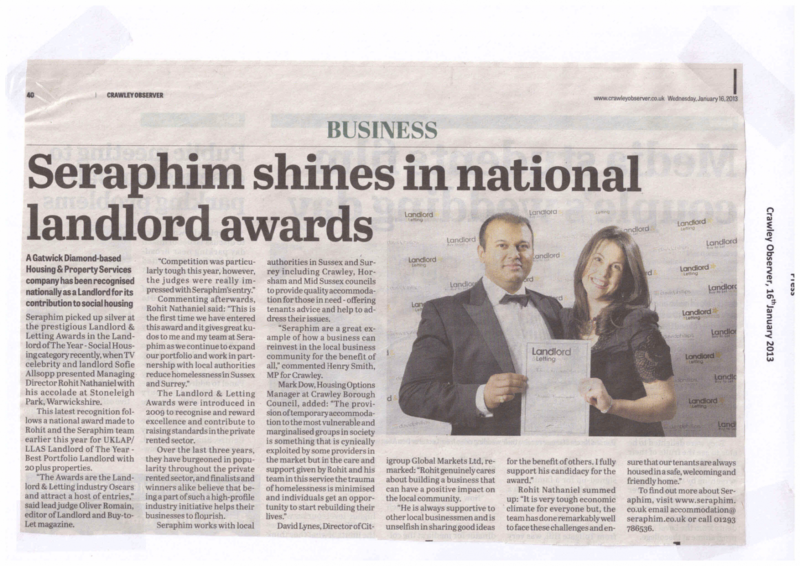 This brings great kudos to Seraphim and it is fantastic to be recognised on a National Level by a High Profile Judging Panel in such a major and prestigious category. 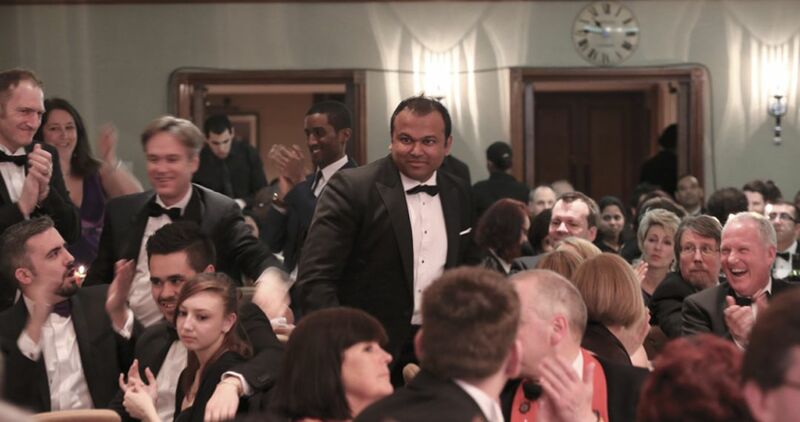 News of Rohit’s award should be published in both the national and local News papers this week. 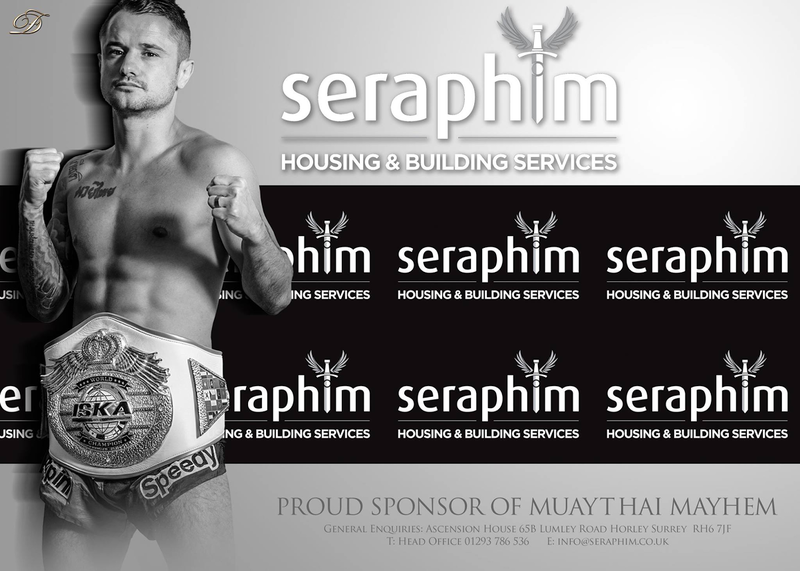 Seraphim are again sponsoring the Muay Thai Mayham event. 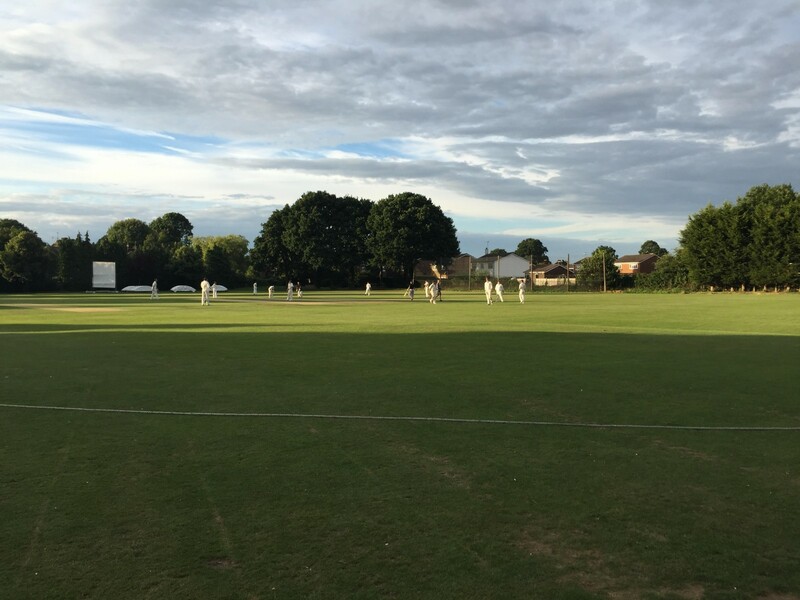 It will be held at the Effingham Park Hotel on Saturday 21st November 2015. The event is “England” Vs Italy but will also include a European Title flight and a World Title Fight. 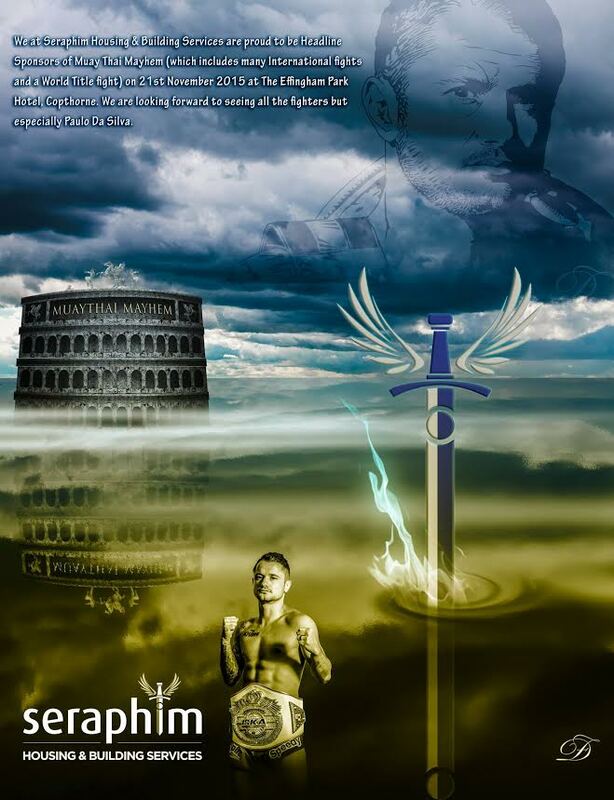 Seraphim is personally sponsoring Paulo de Silva who is currently a 3 times world champion and he is going for forth world title fight. This will be an incredible night for the local community. 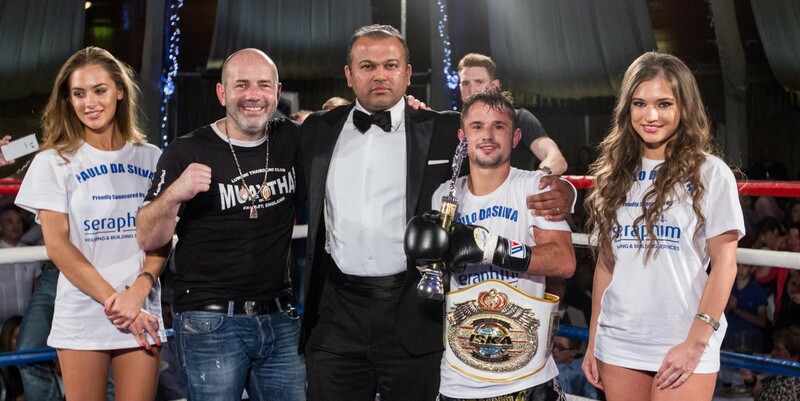 Seraphim sponsored the Thai Boxing Event back in 2006 where Paulo de Silva gained the world title and Seraphim had the honour of putting on his World Title Belt. 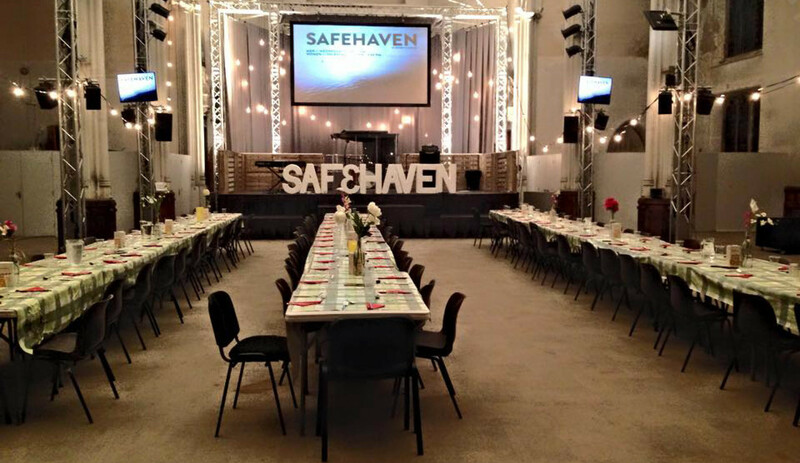 Safehaven is a project which takes place at St Peter’s Church every Saturday evening between 6-7pm, providing a two-course hot meal for the street community. It is done in conjunction with two other local churches. We are situated in the middle of an area with considerable social needs, with the needle-exchange, housing services, drug-rehab centres and areas where many drugs are taken and dealt on our doorstep. 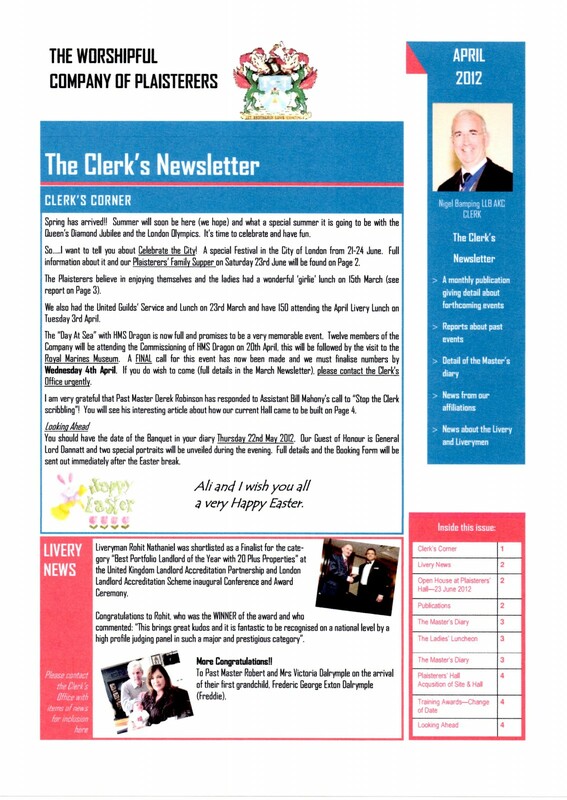 Our aim is to provide a safe place for members of this community, and to provide them with tasty and nourishing food. We always aim to give them the best. This means that we wait on them at their tables, giving our guests value by trying our best to treat them as though we were serving them at the best restaurant in Brighton. We create a sense of belonging and community. We have hosts on each table, who concentrate on trying to build relationships and have a high ratio of volunteers to guests, with about 35-40 volunteers, and 40-60 guests each Saturday evening. Our hope is that Safehaven might be a first step for members of this community to move on to better things.